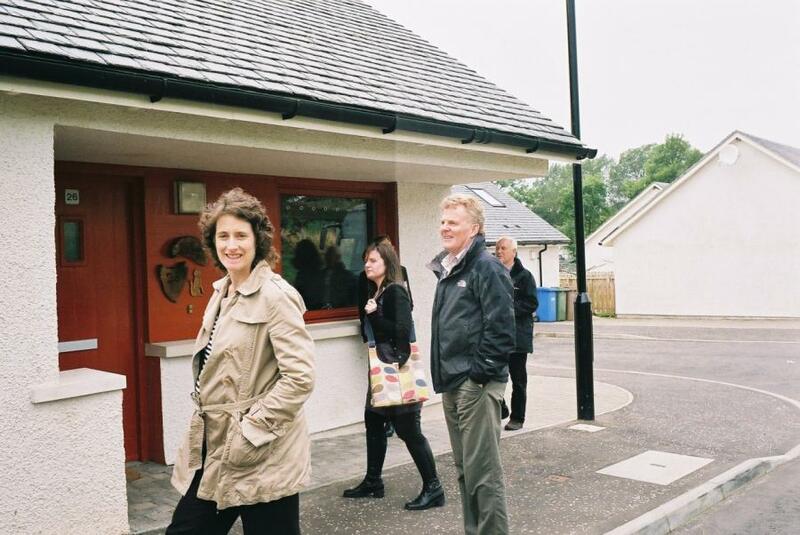 Today our new developments at Kirkmichael and Straiton were visited by the Saltire Housing Design Awards panel. Ayrshire Housing’s project manager Rose Estelles was pleased to show them around and introduce them to some of the residents. Our two schemes are amongst 16 projects from across Scotland which have been short-listed as potentially worthy of an award or commendation. Mike Russell, the Scottish Government’s culture minister, will reveal the successful projects at an awards ceremony in Glasgow’s Lighthouse on 10 November.